We endorsed SB562 Single Payer in CA! 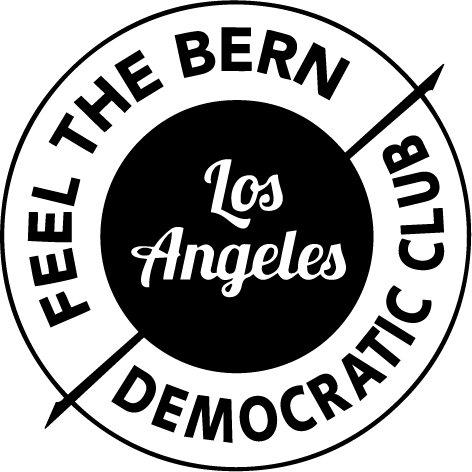 Feel the Bern Democratic Club, Los Angeles strongly and unanimously supports SB 562, The Healthy California Act of California. It is consistent with our club’s mission and with Senator Bernie Sanders’ progressive ideology. Our club was founded on the principle of putting people over profits, and The Healthy California Act is a perfect example of that principle in action. We feel every human being should be treated with dignity and compassion, and should get the healthcare s/he needs, regardless of whether or not that care is going to result in a profit or loss for a health insurance company. We support California leading the way for the US to join all of the other major nations in passing a single payer plan. A Healthy California premium, which is higher for upper income earners, would replace insurance company premiums, co-pays and deductibles—likely resulting in significant out-of-pocket net savings.